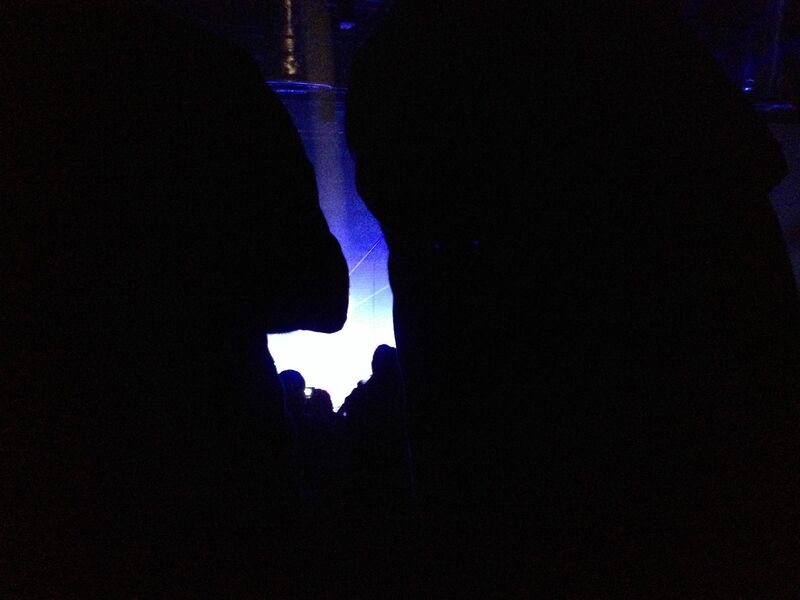 My view of the concert. Who were you trying to see? That is a bit crap. And can you put it under a cut, please, it's killing my LJ. The LJ app on my phone seems to be doing something weird. Scaled image down a bit. It was the pet shop boys. The people sat down for the new songs, so I got to see those.